Nice size 2 Bedroom 1 Bath for sale. Great investment property. Centrally located in a nice neighborhood. Updated property on a nice size lot. Currently Rented Section 8 $1,000 a month could be easily increase to $1200 or $1250. Property Updated and in good shape. 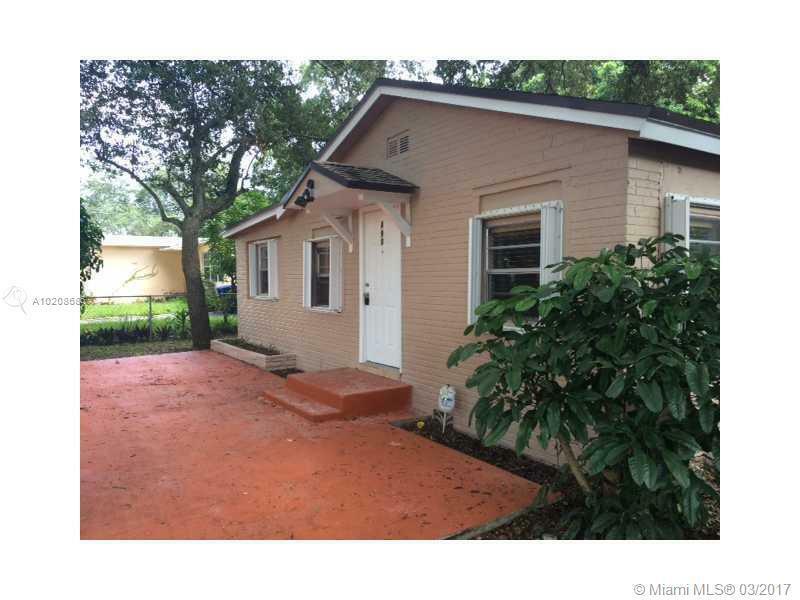 SPECTACULAR OPPORTUNITY FOR HANDYMAN2 BEDROOM 2 BATH HOME CONVENIENTLY LOCATED, FENCED BACKYARD WITH HURRICANE SHUTTERS, TILE FLOORING THROUGH, SEPERATED LAUNDRY ROOM, SPACIOUS EXTERIOR. NO RENT RESTRICTIONS, ALL AGES WELCOME!! FOR SHOWING PLEASE SEE BROKERS REMARKS !! SOME VIOLATIONS MAY EXIST. Investor hurry up!!! One of the few completely redone houses where you have a cap rate over 10%. House rented for $1,200 a month. New tile floors, brand new kitchen, AC, water heater, light fixtures and bathroom.